Yucatan Compass Consulting’s Diana González is at it again! This time she looks to share her favorite museums in Yucatan’s largest city and capital- Merida. Every big city in the world has museums. They are part of the richness of the local culture and help visitors to connect with the various aspects of what makes that culture unique and worth understanding. Some museums seek to connect to visitors through an exploration of history while others seek to connect through art. Some museums focus exclusively on their exhibits while others put an equal focus on the visitor’s sensory experience- namely by creating and maintaining a unique architectural space to showcase their collections. 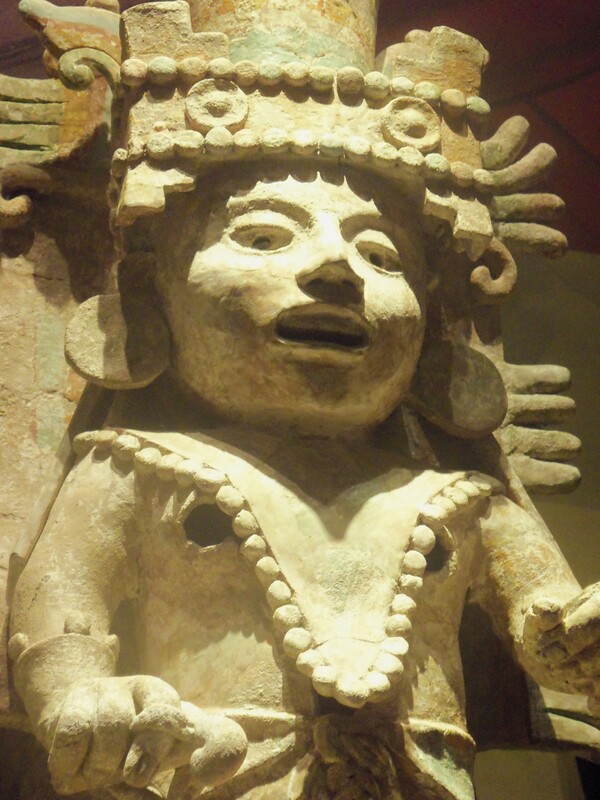 The Mexican state of Yucatan has many museums to explore. They share all the attributes I identified above. I believe that Yucatan’s museums reflect a rich history of the region and take advantage of the unique architecture that can’t be found anywhere else. These museums might not be as famous or as big as those in cities like Mexico City, London, Paris or New York but they are equally worth a visit. They offer a deeper insight into the culture and past of our region that can help visitors understand modern Yucatan- how our distinctive land supported societal change over the centuries. I put together a short list of some “must visit” museums in the region below. This list is merely a starting point. If there is a limited amount of time to explore the region, a visit to one or two of these museums will be a great addition to any itinerary. If there is more time available, these are great museums to launch a more extensive adventure of all that Yucatan has to offer. This museum features pre-Columbian and colonial pieces, artifacts from Mexico’s Independence, the Mexican Revolution as well as exhibitions about the henequen boom (learn all about those haciendas and how Merida grew to be one of the wealthiest cities in the world). This Merida museum promotes the dissemination of national and international contemporary art with about 45 exhibitions per year and a movement of about 2,000 pieces. 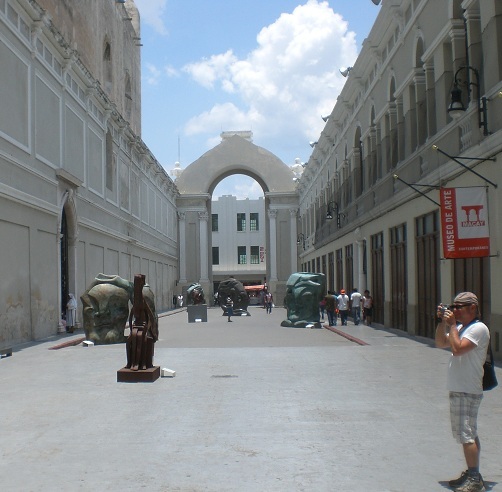 It is conveniently located in Merida’s main plaza right next to the famous cathedral. It is an interesting experience to see what many believe to be the oldest cathedral in the Americas and then cross a courtyard to experience the world of contemporary art. Called “a gateway to the world of romantic music,” Merida’s Museum of the Yucatecan Song includes in its rooms over 50 oil portraits of composers, performers, poets and promoters of Yucatecan music which was forged with strong influences from Cuba and Spain. This is one of the most important museums in the country for its invaluable collection of musical memorabilia received as donations from descendents and relatives of famous Yucatecan performers and composers. It is a wonderful place to see how local music was influenced by other cultures and, in turn, was able to influence music on other parts of the world. This museum has a unique focus- to promote and disseminate expressions of creative thought by members of Mexico’s indigenous communities. A visit to this museum will help you to understand how the rich cultures of pre-Columbian societies have influenced regional and national identities throughout Mexico. This museum will also help you to understand how vital indigenous cultures are as an axis of Mexico’s cultural matrix. 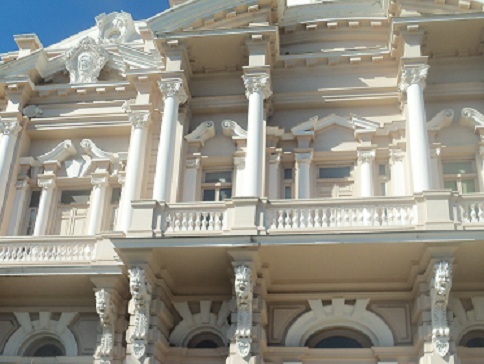 Built in the Mannerist-Barroquizante architectural style that prevailed from the late nineteenth century to the first decade of the twentieth century, the “Palacio Canton” is perhaps the greatest building the most famous street in Merida, Paseo de Montejo, possesses. Alongside many other opulent mansions built by wealthy hacienda owners during the henequen boom, a visit to this museum permits you the chance to experience what it might have been like to live as one of Merida’s richest families over a century ago- with a little imagination, of course. The great part about this museum is that it’s beautiful rooms house a permanent collection of the region’s anthropological wonders. Since 1966 this museum has shared Mayan artifacts dating back centuries and coupled them with changing exhibits on more modern events like the region’s Caste Wars and experiences during the Mexican fight for independence and revolution. Have you been to one of these museums and want to share your experiences? Do you have a favorite Merida museum that was not mentioned here? How about another museum outside of Merida? Post your thoughts here or on our Facebook page or Twitter feed. I’m writing in behalf of the Museum MACAY, thank you for publishing our information; just a little note: the admission is free always; we don’t charge the entrance. Hope you can fix this information. We’re sorry!! We will change it right away. Thanks for the support! Really great Posts! I’ve enjoyed reading through your blog site because of the great style and energy. I must tell you that the blog on signatures is appealing that I was encouraged to go through other write-ups. I have a blog on travel theme. If you’re interested, we would love to have you on as a guest blogger. Please send me an e-mail and I can give you more information. My wife and I just spent nine days in Merida. We visited Museum MACAY, Museo Regional de Antropología, Museo de la Canción Yucateca, and Museo de la Ciudad de Merida. While visiting the Canción, we met Tomás Gamboa Canché. He talked about Truva and explained the significance of a plaque at our hotel, Caribe. We tried to visit Museo de Arte Popular but could never find its entrance nor talk to anyone who could direct us to it. The very pleasant woman next door at the Canción directed us “next door”, the workman inside the fenced area directed us back down the street but none of the doors between the corner and the Catedral side entrance were open. So, for our next trip to Merida, could you describe exactly where the entrance is? We also used your five favorite taquerias. Wé will certainly be visiting yccmagazine.com regularly to help us plan our next visit to Yucatan and Merida. Thanks very much. Hello and thank you all for your comments!! Ken I am sorry, I think I put the address of the Museo de Arte Popular wrong. It is Calle 50 A x 57 no. 487 Centro. I really hope you find it next time! !